To coincide with the TEN YEARS AFTER's eponymous debut release in 1967, Chrysalis Records presents a fiftieth-anniversary ten-CD box set. Due in November, the limited-edition set gathers, for the first time, albums from both the Chrysalis and Deram periods from 1967 to 1974 and includes a disc of previously unreleased material. "1967 - 1974", limited to one and a half thousand copies worldwide, contains LPs which have been remastered from the original quarter-inch production master tapes along with the bonus disc titled "The Cap Ferrat Sessions", which consists of never-before-heard recordings from 1972, newly mixed by acclaimed record producer Chris Kimsey. The package comes in a luxury hardback format with slipcase and an accompanying book which includes newly commissioned in-depth ten-thousand-word sleeve notes written by legendary Melody Maker journalist and early champion of the band Chris Welch, charting the band's progress from their early beginnings in Nottingham, through iconic appearances at the Woodstock and the Isle Of Wight festivals, right up to their eventual split in 1974. There are extensive interviews with the remaining band members plus members of Alvin Lee's family, and additional recording notes by Chris Kimsey. 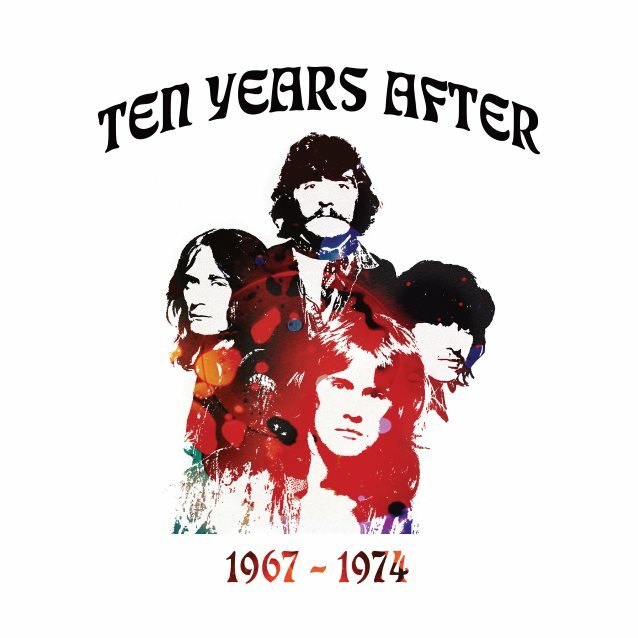 "I'm genuinely excited about the new TEN YEARS AFTER box set that we've been working on with Chrysalis due for release in November to celebrate the band's fiftieth anniversary," says TEN YEARS AFTER's founding drummer Ric Lee. "The box includes nine studio albums and a bonus CD that features the previously unreleased live album 'The Cap Ferrat Sessions'. "Originally recorded in 1972 in the south of France using THE ROLLING STONES mobile recording truck, the session tracks were gathering dust until now. "I remember we recorded the live tracks in a villa in Cap Ferrat, south of France. Each of the instruments were recorded in a different room — drums in the ballroom. "Between Chris Kimsey, our recording engineer and I, we managed to get one of the best drum sounds on any TEN YEARS AFTER recording. Natural ambience from the villa's acoustics helped tremendously. "The session tracks were originally planned for the 'Rock N Roll Music To The World' album, but due to vinyl restrictions of the time, the tracks were not included in the final album release. "More details are on the sleeve notes written for us by Chris Kimsey, who kindly agreed to mix the tracks for this boxed set release forty-five years after they were recorded. 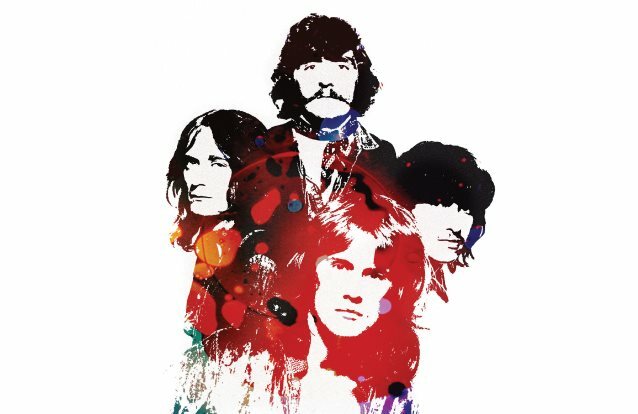 "This is a must-have collection for any avid TEN YEARS AFTER fan, and any new fans that want to soak up the band's recorded history." Storming the stages of rock, TEN YEARS AFTER created a sensation that stunned audiences and quickly won them a coveted place among the pantheon of great British groups. Alvin Lee — one of the most charismatic and admired guitar players to emerge from the British blues boom of the era and deservedly ranked alongside his contemporaries Eric Clapton, Jeff Beck, Jimmy Page and Jimi Hendrix — headed a powerful team of talented musicians, Leo Lyons, Chick Churchill and Ric Lee. During an intense seven-year period, they embarked on marathon tours, conquering America, enjoying success round the world, while also unleashing a succession of ground breaking albums. Their 1967 debut, "Ten Years After", was swiftly followed by pioneering live album "Undead" (1968) through the critically acclaimed "A Space In Time" (1971), featuring one of their finest songs, "I'd Love To Change The World", which is very apt in today's world, ending with 1974's "Positive Vibrations". "The Cap Ferrat Sessions" came as a result of a discovery by Alvin Lee's wife, who found a box of recordings deep in the vaults of the studio in their house they shared in Spain. They originate from the "Rock N Roll Music To The World" album sessions, which were recorded at a seaside villa in Cap Ferrat, south of France and Olympic Studios in London. Chrysalis Records turned to world renowned producer Chris Kimsey (whose credits include THE ROLLING STONES, BAD COMPANY and Peter Frampton), who recorded and engineered the original sessions, to mix these tracks for the first time. Revisiting the tapes, some forty-five years later, Kimsey added, "Alvin and the band were incredibly creative and abundant during this period. These re-discovered recordings were not rough demos, not rehearsals, but completed masters that did not make the album due to the time limitations of vinyl at the time. So these gems were left off. Mixing this in 2017 I began to study the parts, the playing, the response of each musician. It was amazing! It is what all great recordings are made of."